The feature is already available for the private account holders. If you are on Instagram and have made your account public, you must have been knowing that anyone can view your profile as much as they wish. Here, blocking is not an option because private browsers can do the trick. So, how to stop this? Well, Instagram is testing one feature that will give the user more control of their account, especially the list of followers. Interestingly, the feature to cut off followers from the account is already available for the private account users. 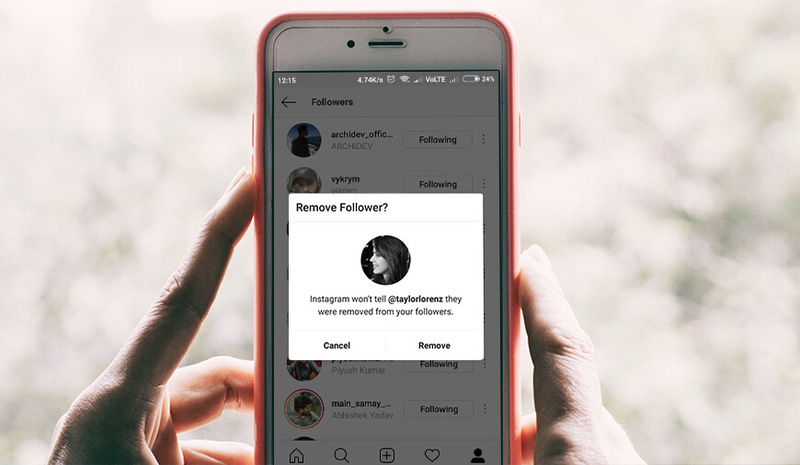 As per a report by The Verge, the new “remove follower” feature will let the user with public view account setting to remove the followers from their list. The photo and video-sharing company is already working on the feature from the last couple of months and soon it will hit the market. The Verge confirmed the news from Instagram sources, and we expect the initial rollout of the feature for the Android devices. Though the company didn’t disclose much about the forthcoming release. The feature will be handy for people who want to get rid of some people with whom they don’t want to share their updates. It may include ex-partners, family friends or someone they don’t like. The best part of the new feature is, the follower won’t be notified of his removal. The other such feature that lets you stay away from a set people on your account is “Mute.” It enables you to mute the notification of people who are on your list of followers, but you don’t wish to view their updates. It looks like, Instagram is on a spree to add more and more features to its platform in the contention to stay at the top. In the last couple of months, Instagram has added a bunch of features that includes story design tools, music inclusion in the Stories, IGTV, and a few more. These all moves are intended to keep the users’ enticed to the platform. With its continual success, Instagram is able to garner about 400 million daily users’ of its Stories feature, and if we talk about the overall users, the Facebook-owned company is unchallenged right now with its 1 billion user base. How To Use Ask Me A Question Sticker?